So I was preparing to write an intro on Unsuk Chin, but she's in the news now so I'll just start her thread with this. Chin seems to have a pretty large following for a contemporary composer among "serious" classical music listeners. Born in 1961 in Seoul, she is what I would call a highly prolific, textural, "music-as-experience" post-minimalist craftsman who seems to have absorbed and refined a "period-less" strain of composition that I feel began in the late 80s and 90s. She studied with Ligeti in the 80s and operates out of Berlin today. The bold, inventive composer Unsuk Chin has been a favorite in recent years with the New York Philharmonic, which presented the United States premiere of her “Gougalōn: Scenes From a Street Theater” in 2013, opened its 2014-15 season with her ethereal Clarinet Concerto and programmed her “Fantaisie Mécanique” at the 2016 NY Phil Biennial. On Thursday the orchestra announced that it was presenting her with one of the richest awards in contemporary music, the Marie-Josée Kravis Prize for New Music, which comes with $200,000 and a commission to write a new piece for the orchestra. Born in Seoul, South Korea, in 1961, Ms. Chin has lived in Berlin since 1988. She is known for unconventional, boundary-pushing work (she studied with Gyorgy Ligeti). H er best-known piece may be her opera “Alice in Wonderland,” which was given its premiere at the Bavarian State Opera in 2007, when it opened the Munich Opera Festival. The Philharmonic wasted no time in awarding the prize. The fruits of the last Kravis Prize were harvested just last week, when the orchestra played the world premiere of the Dutch modernist Louis Andriessen’s new tone poem “Agamemnon,” which was commissioned when he won the prize in 2016. The prize’s previous winners were Henri Dutilleux and Per Norgard. The awarding of the prize to Ms. Chin suggested a note of continuity at the Philharmonic. 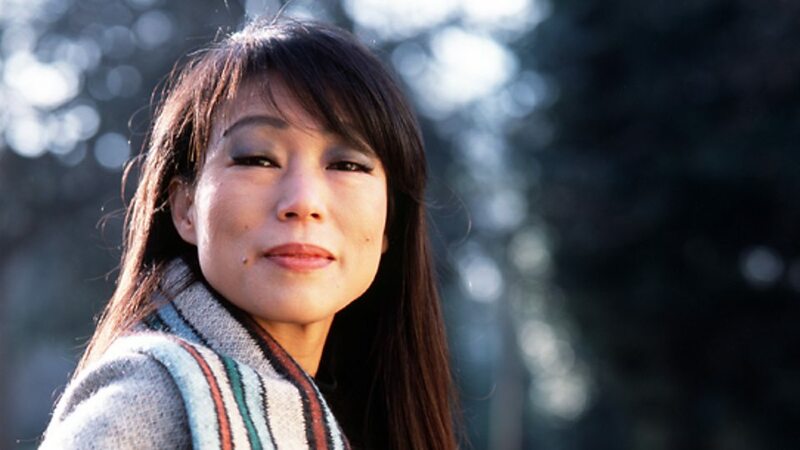 Her work was championed by the orchestra’s last music director, Alan Gilbert; his successor, Jaap van Zweden, said that he looked forward to “sharing the musical worlds” Ms. Chin creates. “It is important that leading orchestras like the New York Philharmonic shine a light on the music of our time, and I am grateful to the Kravises for making it possible for us to do so through this significant prize,” he said in a statement.